Instant coffee machine with great functionality. The Bianchi office coffee vending machine range includes the easy to use coffee vending machine, the Bianchi Sprint Instant. 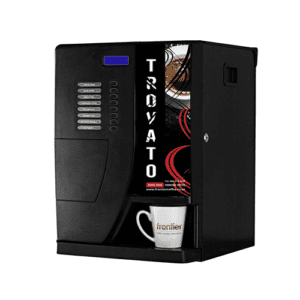 This Italian designed coffee machine offers instant coffee, hot beverages and on-board sugar and milk. Dimensions: Height: 545 mm / width: 385 mm / depth: 440 mm / weight: 27 kg.